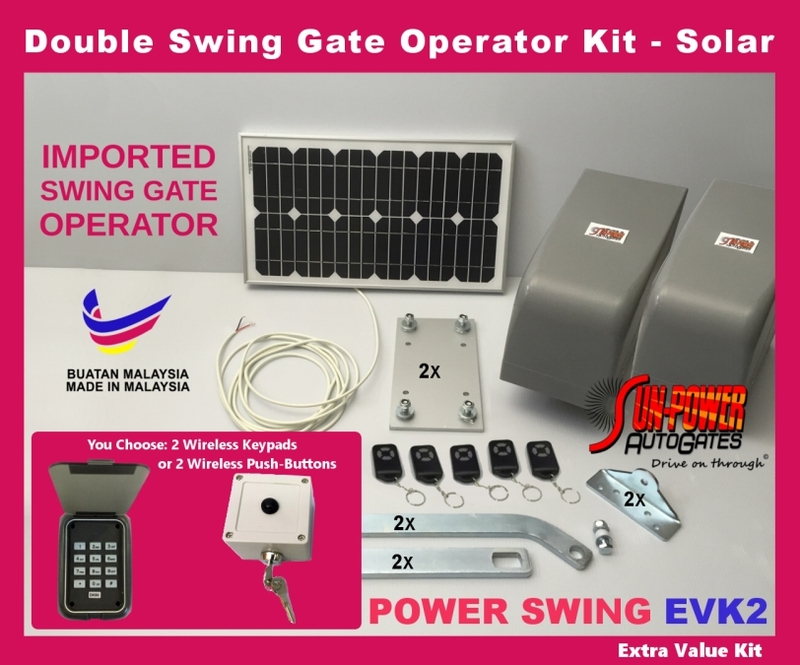 5 Remote Controls, 2 x Mounting Plates and your choice of 2 wireless keypads OR 2 wireless push buttons. 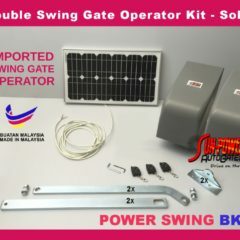 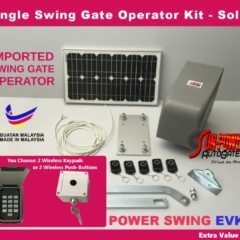 The imported POWER Swing Gate Double Opener kit provides great value and excellent quality. It is Made in Malaysia. 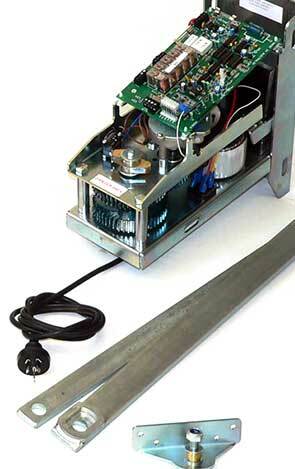 The lever-arm design and steel gears deliver excellent torque. 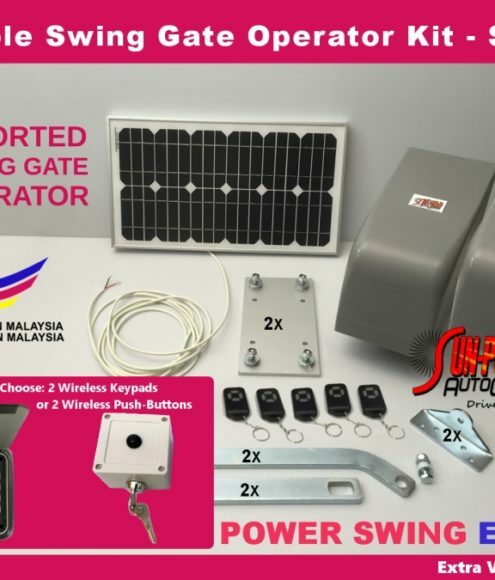 This Do-It-Yourself Installation kit is comprehensive.